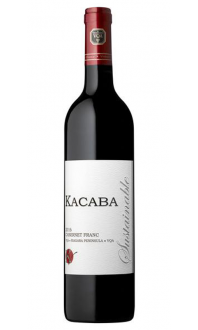 A vibrant and full bodied blend of estate Cabernet Sauvignon, Syrah & Cabernet Franc. Ripe red fruit fuses with pepper spice and toasted oak creating great complexity. On the palate, supporting layers of cherry, raspberry and black pepper are met with firm yet supple tannins. Savour this wine on its own or match with grilled lamb, red meats and aged cheddar.